The problem is to construct a triangle given the length of its base, the length of the altitude from to and the difference of the angles at and . 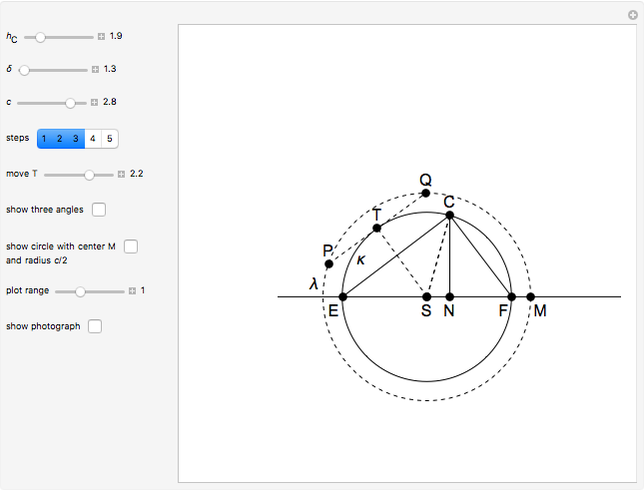 This Demonstration shows Gerd Baron's solution of this construction problem using the Apollonius circle. Step 1: On line , choose a point . Draw a vertical segment of length . From , draw a ray at angle with respect to the segment . Let be the intersection of the ray and . From , draw a ray at angle and opposite to with respect to the segment . Let be the intersection of the ray and . The triangle is right angled. Let be the midpoint of . 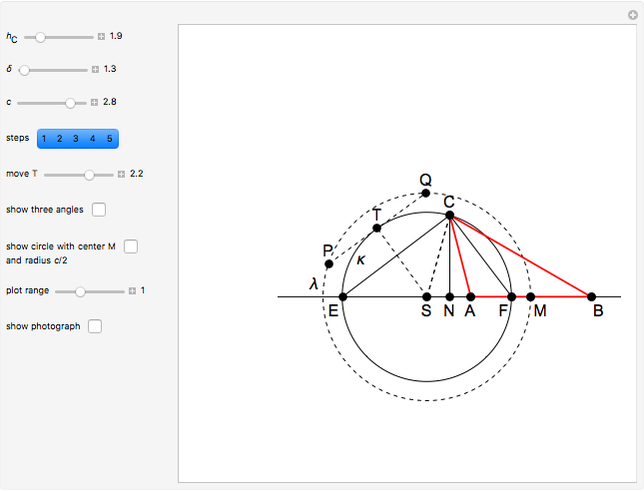 Step 2: Draw a circumcircle of the triangle with center . This circle is the Apollonius circle of the triangle . 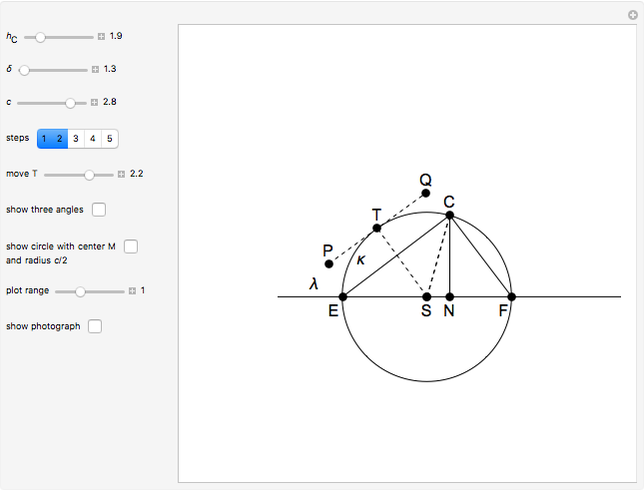 Choose any point on the circle and draw a tangent of length with as the midpoint of . Step 3: On , draw a point such that . Step 4: On , draw the point so that . On , measure out the point so that . Step 5: The triangle meets the stated conditions. The correctness of the construction follows from properties of the Apollonius circle of the triangle . The radius of the Apollonius circle is and is independent of . As far we know, this problem first appeared in . The problem was also posed by Stevens in . The photograph of Stevens's solution was taken from [2, Vol. VI, 1857 p. 56]. For the history of Plemelj's solutions of this problem, see The Plemelj Construction of a Triangle: 1. The Ohio Journal of Education, (4), 1855 pp. 278 and 369; (5), 1856 p. 112; (6), 1857 pp. 56–57, 145 and 184. Gerd Baron, Izidor Hafner, Marko Razpet and Nada Razpet "The Plemelj Construction of a Triangle: 14"